After a long hiatus, I somehow find myself strangely and tragically dragged back into the service of writing pieces of modern musical culture for this club. Instead of talking about how my world is imploding due to it being my final week of service to Anime@UTS as its president, I would rather talk about ‘the music’ a little more. Life and music are not that dissimilar; both follow a rhythm (or appear not to) which throws us highs and lows along with the unpredictable to produce a rich assortment of experiences. Every so often you find ‘that song’ which acts as the epitome of such an idea, either reflecting your hectic life that is now behind you or that you currently face. As for me, I found that very song a little while back and it is still very much relevant. Being no other than Allegro Cantabile (literally ‘lively’ and ‘songlike’ respectfully), the very frantic (but incredibility appropriate) opening for Nodame Cantabile; how could one expect any less. The vocals and piano by Suemitsu Atsushi really help to establish the feel series, not simply due to the musical aspect that is obviously one of the main components, but how he defines the characters through his music as well. The title of the song is more or less a reference to how Megumi Noda (the main character better known as Nodame) plays, and it truly feels like she plays it with the unique style she is renowned for. Despite the occasional drum set that maintains the beat and tone, the piano takes assumes control of the piece, jumping into the foreground and becomes somewhat unrelenting, but in a way that it wisps you into the mix and doesn’t let you go. It is a pianist going at full speed and enjoying everything second of it. 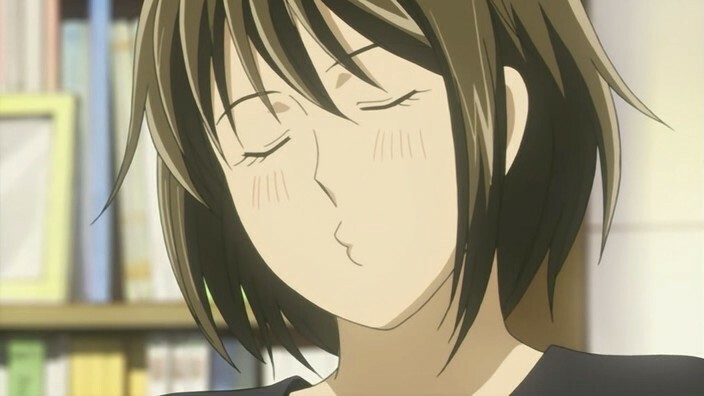 Of course it is not Nodame playing, but it would be hard to tell with the way Suemitsu takes on the character, and it comes through in a most resounding way. 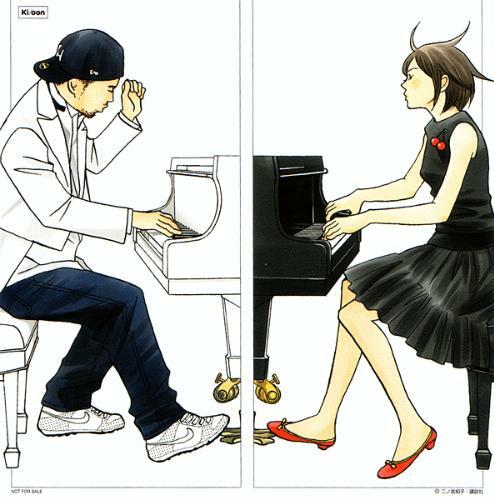 It is clear the piano is important to both the series itself and the music that it embodies, but Suemitsu plays two parts in this song, and the vocals he uses act as the voice of a frantic musician caught up in their world; tripping up and over everything. The vocals and piano weave together, building upon each other to a great intensity. It is very much speaking with two voices, providing a depth that should be listened to carefully so that nothing is missed. Altogether this song has acted as the perfect backdrop to which I’ve seen my university life unfold and I could ask for little more than for what it has done for me – make me hop in my step and bop with my head, to keep me going on every step of my journey… But this is just my view of things and I’m sure we all have something that represents our time here or there. Then again, this is me we are talking about here, so crazy misinterpretations are guaranteed and rants are a must. So cue, cue I say, cue One Life by The Pillows as the inappropriate intro that I have been dying to use since forever… but I’m held by my legally binding presidential contract to provide more meaningful closure. So, I give everyone Nanairo by Jazztronik, a piece that always made me dream of the future and what it can bring. I thank everyone for the opportunity I was given to lead Anime@UTS and meet all the people I did.